Noise Cancelling Wireless Stereo Bluetooth Headset Earphone With Microphone, Receive Phone Calls & Listen Music	FEATURES:	1). Ultra Slim And Lightweight Body, Stylish But Not Simple, With Powerful Configuration, Allow You To Answer Incoming Phone Calls And Listen To Music. 2). The Bluetooth Headset Adopted The World’s Top CSR Chipset, Bluetooth V4.0, Suerior Compability, Compatible For Almost All The Mobile Phones And Tablet PC, etc. 3). Made Of Environmentally Friendly Materials, Harmless And Safe To Use. 4). Based On Ergonomic Design, Providing Comfortable Wearing Experience. 5). 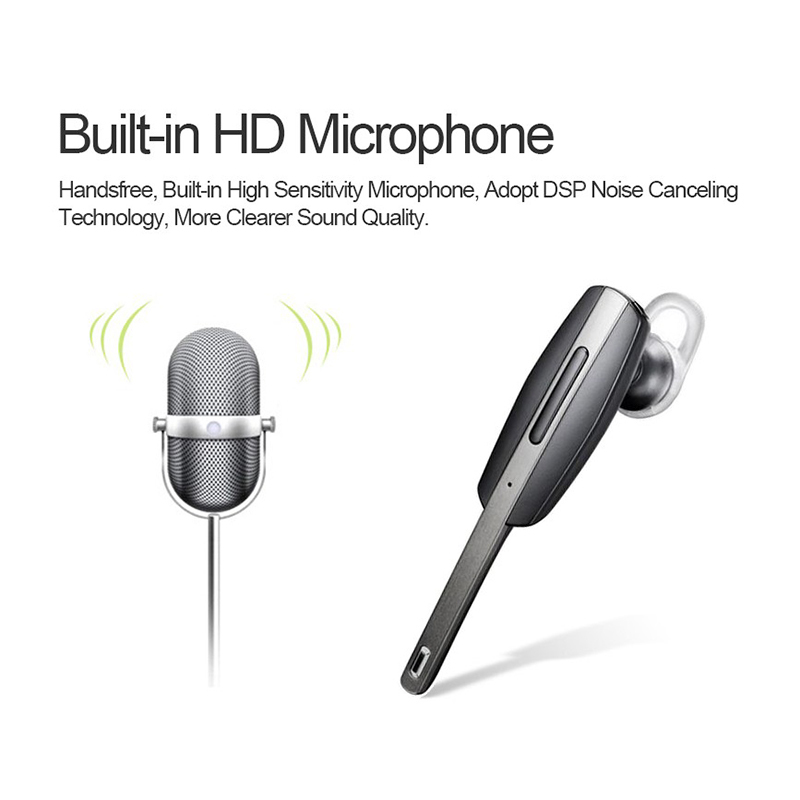 Built-in High Sensitivity Microphone, Adopt CVC6.0 Eliminate Noise Cancellation Technology, Allowing Clearer Coice Quality. 6). Support Connect 2 Phones, High Definition Stereo Sound Effect, Enjoy The High Quality Music.